Following his recent textual tirade against Phil Hellmuth, Dan Colman has reconsidered his somewhat colourful use of language against the 13-time bracelet winner. In a follow-up post on 2+2 over the weekend, Colman admitted he was “too harsh” in calling Hellmuth a "cancer"; however, he maintained that his point was valid. Although Hellmuth "didn't deserve" the hateful tone of the post, Colman believes his behaviour is still "atrocious" and something that doesn't belong in the game. 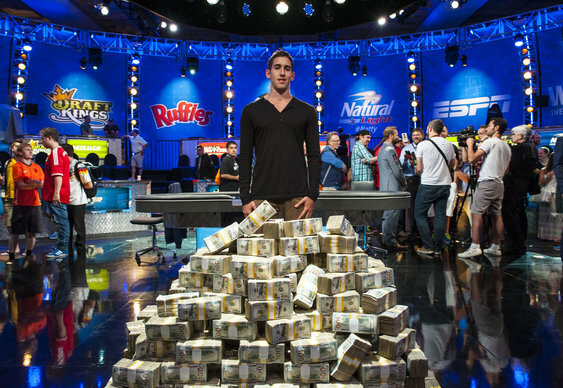 Colman also uses the latest post to take a swipe at another poker champion, Ryan Riess. Commenting on how his brash attitude served to alienate him from much of the community, Colman compared him to the latest WSOP Main Event winner, Martin Jacobson. "Look to the new main event champ, Martin Jacobson, unlike the last champ, he doesn’t have to go around saying he’s the best in the world after winning. He plays phenomenal poker and carries himself exceptionally well, so his peers are happy to do the talking for him." As well as airing his views on his peers, Colman also admitted to "multi-accounting" in his younger days. Taking place around the same time that Justin Bonomo and Josh "JJ Prodigy" Fields were caught posing as more than one person, Colman admitted his actions were that of a different person and born out of a competitive nature. "I multi-accounted tournaments online when I was 17-18 with a me against the world mentality. I have made plenty of mistakes, but I know I am far from that person I once was." Whether or not the thinly veiled apology is enough to get Colman onto Hellmuth's Christmas card list remains to be seen, but it will certainly make for some interesting interactions when the latter presents the former with a poker award later this year.